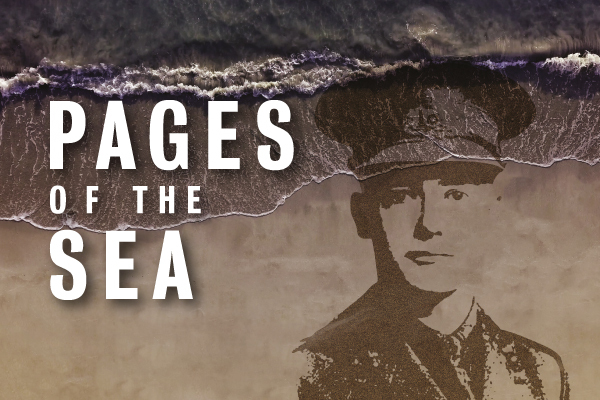 The Creative Foundation are honoured to be delivering this project in Folkestone, as towns and cities around the UK remember and mark this historic occasion. The location for Folkestone's portrait will be Sunny Sands beach, near to the harbour, where approximately 10 million men and women arrived and departed during the First World War. The event will take place between dawn and 10.45am. High tide is at 12.45pm, so please do come within this time frame to avoid disappointment. Carol Ann Duffy has written a poem especially for the moment - The Wound in Time. This can be read by individuals, families and communities on the day. Wireless headsets will also be available so that visitors can experience an audio reading, performed by Folkestone poet Faith Warn of Poets' Corner. Visitors can also get involved by creating their own outlines of First World War heroes on the beach, using stencils. Later in the day the Harbour Arm's Mole Café, will be serving free cake between 1-3pm, with access to the Folkestone and District Family History Society Archive. Copies of Carol Ann Duffy's poem, as well as the audio version will also be made available. The Pandemonium Drummers from the London 2012 Olympic Ceremonies will also perform a new piece created for Pages of the Sea on Folkestone Harbour Arm. Symphony of Waves will be performed at 1.30pm and 2.30pm with performances lasting approximately 14 minutes. Presented by over 40 drummers, the semi-improvised piece will explore the concern, anxiety, and commitment of those who left home and started a journey across the sea, from which many did not return. It is performed on simple buckets and bins and will evoke memories of a pleasant land left behind and outlooks of an uncertain future. The Creative Foundation's dedicated learning space, Block 67, will be holding two free drop in family workshops, and three adult workshops prior to the event; working together to create an exhibition, made up of local First World War heroes. On Thursday 8 November join historian Peter Anderson in The Clearing (first floor, Folkestone Quarterhouse) for an evening of First World War tales from Folkestone and the Harbour Arm. Peter will offer up snippets of local history covering food, literature and a touch of romance.